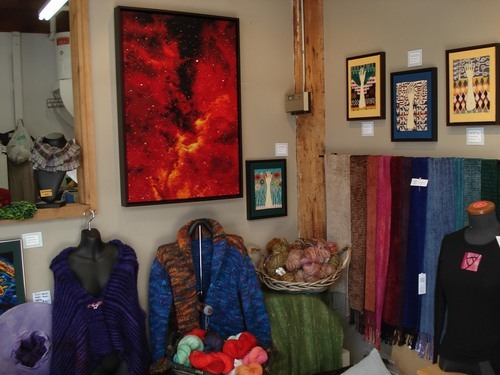 At the Fibre Art Studio you will find original tapestries by Barbara Heller, elegant handwoven scarves by Yoriko Oki, beautiful handwoven blankets by Penny Stewart, and unique creations by Roz Winters. The Studio also features handspun and hand-dyed yarns as well as other treasures. we are open 11am to 4pm, Monday through Saturday, or by request.